Another great series I love; and this one includes recipes! Okay; I have not tried the recipes, but they sound amazing! I have my staple of Christmas goodies I make every year, but I really need to hop outside of that small, boring box! So, for the good stuff. A Christmas story full of murder and mayhem. What more could you ask for? Hannah Swenson seems to be the most unlucky person you could ever meet. Unlucky at work, unlucky at love, and very lucky at finding murdered people. But, she has more than one suitor at any given time, so really; how unlucky is she? This story has multiple murders, and multiple suspects. What more could one ask for on a negative-zero-wind-chill day? While Hanna tries to run her cookie store, everyone else tries to run her life. Have you read it? Do you love it as much as I do? Let me know! And if you ever tried the recipes, I have got to know what you thought! I Still Need To Give This Book Away! The original winner of this book never contacted me. It’s full of great recipes and a back story and I would love to give this book to someone! Interested? Let me know in the comment section and I will draw a name this Saturday and send it on its way! This is it! The last chance to get this book sent to you 🙂 I will draw names tomorrow of everyone following this blog, and let the winner know this book will be on the way. This edition is more recipes and less story, but by just briefly flipping through my copy, it looks like the story may be Hanna Swensen reminiscing about past cases she has solved. Cream Cheese Puffs, Popovers, Mango bread, Key Lime Pie, Cashew Crisps, Heavenly Eggnog Cookies, Grilled Cream Cheese Sandwiches, and I could go on forever! I am planning on trying out one recipe a week (planning, and hoping I can actually get it done!) and will share the results with you, good, bad, or ugly 🙂 This book is full of recipes that are just in time for the upcoming holiday season. Next up is me finding a book to read! Any suggestions? I am about to pull a book of the shelf that I have read numerous times already. Happy Wednesday and Happy Reading! The Most Wonderful Place in the World! Yes. 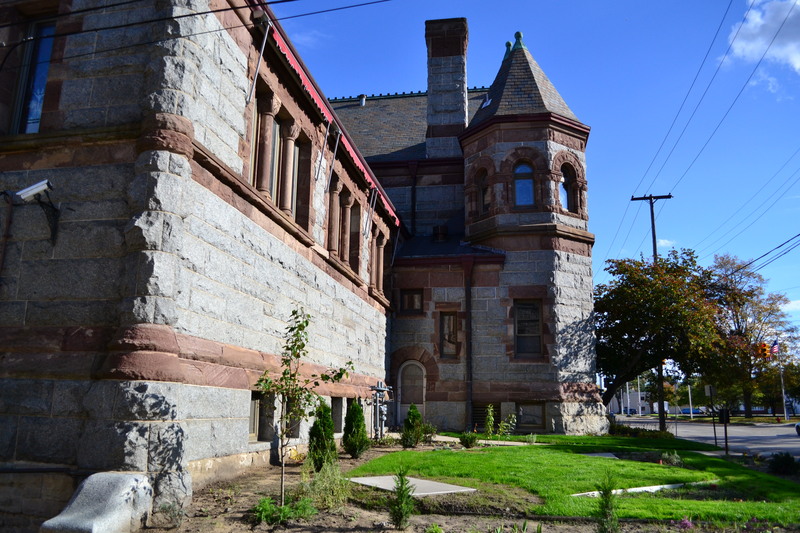 One of many libraries near me. 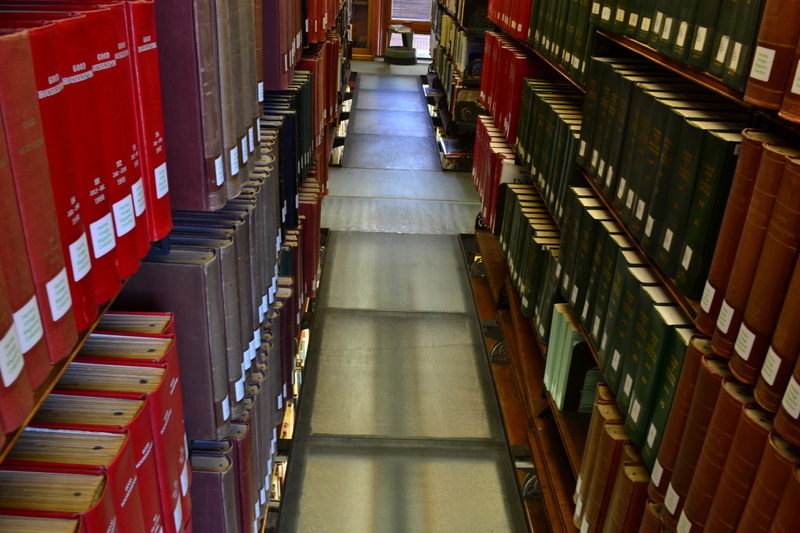 I generally do not frequent this library, but I thought you would all like to see the section with the glass floor. A little freaky to walk on, but unique none-the-less. 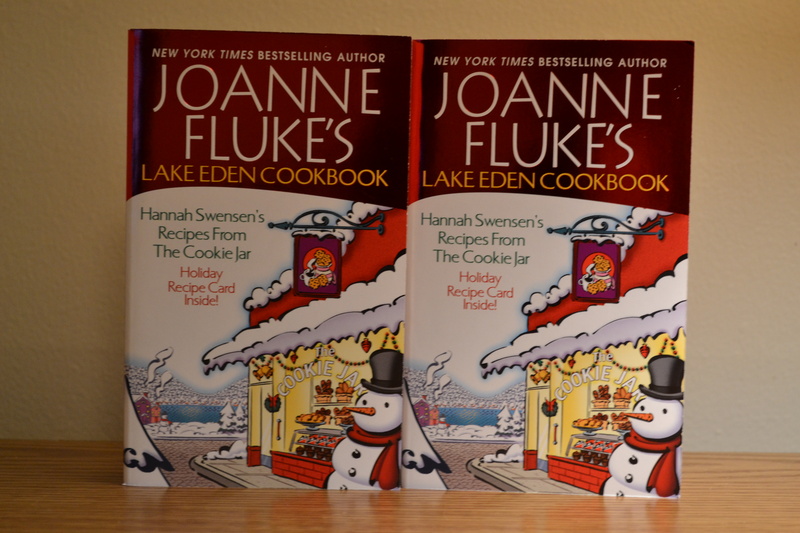 Don’t forget, I am drawing on Thursday to send one lucky reader Joanne Fluke’s “Lake Eden Cookbook”. If you missed my previous post, it is more of a storybook, less of a cookbook. This one just seems to be full of recipes from numerous books. Confused? Me Too! I am in dire need of new reading material. I will be drawing a name Thursday, and sending this book on its way this weekend. Happy Monday, and Happy Reading! Not only did I find one, but I got two! Which means you have a chance to get this book sent to you, for free! What could be better than that? You just need to do two things. That’s it! What could be more easy, right? I am in desperate need of some new books to read, and I want to read some books that you have enjoyed. If you aren’t familiar with Joanne Fluke’s series, here is a quick run-down: The Heroine of the story is Hannah Swensen, owner of The Cookie Jar and detective in the making. She is apparently the only person in the town of Lake Eden, Minnesota that is capable of solving the numerous murders that seem to happen in this small town. Her overbearing but endearing mother is full of quips that will have you laughing, and Hannah’s continuous problem of juggling two boyfriends (in the cleanest, G-rated way possible) makes for a great read without being heavy in drama. A little cheesy (no pun intended)? Yes. But her books are an easy read with descriptions of the scenery as well as recipes that will have you feeling like you are sitting in The Cookie Jar with a fresh-out-of-the-oven-cookie from Hannah herself! This book is loaded with recipes from numerous different stories, with very minimal back information about Hannah herself. With the upcoming Holiday season upon us, I thought this would be a great surprise for someone, or a gift for a dear one if this isn’t your normal type of read. And who knows? It may just have you looking for the next Joanne Fluke book! From Heavenly Eggnog Cookies to Razzle Dazzle Champagne Cocktails, there is something in here for everyone. Happy Sunday, and Happy reading! I finished “Killing Jesus“, a week later than I planned. I have to say I was much more interested in it once it got to the life of Jesus and his eventual crucifixion. It was as graphic as I expected it to be, with a few things left out that really surprised me. I don’t think they were left out because they were considered myths, because they are in every single other story or show about Jesus’s life, including the 4 gospels in the Bible. the first of these was when Jesus was betrayed by Judas, and as he is being captured. Peter takes out his sword and cuts off Malchus’s ear. It is at this point that Jesus tells him to put the sword away, and reattaches Malchus’s ear. On pages 223-224, the chopping off of the ear is mentioned; but not the reattachment. The other thing that was excluded was when Peter is inside the temple walls and he denies knowing Jesus 3 times, before the rooster crows. I was very surprised that neither of these things were mentioned, when I find them vital to showing not only the loyalty of Jesus’s disciples, but also the fact that they were scared of their own upcoming punishment for following Jesus and believing in his ministry. A passage that I found very interesting was when Jesus was criticized by the Pharisees for eating with person’s who were considered unclean. “Don’t you see that whatever enters the mouth enters into the stomach and then out of the body. But the things that come out of the mouth come from the heart, and these make a man unclean. For from within, out of men’s hearts come evil thoughts, sexual immorality, theft, murder, adultery, greed, malice, deceit, lewdness, envy, slander, arrogance, and folly. All of these evils come from inside and make a man unclean” (O’Reilly, B., Dugard, M., 2013, Killing Jesus, pp -160-161). So, on a lighter note, I think it’s time to find a more upbeat book to read next 🙂 I have a couple books on my bookshelf that I have not read yet, but I think I am going to bypass those for now, go to Barnes and Nobles, and pick up a Joanne Fluke book. If you have never read her books, she includes recipes in her book as the main character runs a bakery. After reading several of her books, I think it’s time to try out some of those recipes!